Delicious, fanciful hearts can be baked by the dozens with this set of heart cookie cutters from Martha by Mail. Twelve gleaming cutters made from solid copper by a talented American coppersmith, were exclusive designs for the catalog over a decade ago. Very collectible and truly meant to be treasured for years to come, the beautifully-shaped cookie cutters are perfect for any kind of celebration or holiday. Chocolates are nice and always welcomed on Valentine’s Day, but what sweetheart wouldn’t love a few of these cookies tucked into a special box tied with a gorgeous ribbon? If you own the set, bake a few dozen hearts to give out. Follow the decorating instructions that were provided with each set (below) or make them your very own works of art. Perhaps you want to add a little message or simply want to flock the cookies with pastel-colored sanding sugars. Get creative! I guarantee that there won’t be a heart left. For present and future collectors & bakers. Enjoy! Bake a heart cookie for everyone you love. This set includes twelve heart-shaped cutters; use them to make sweet desserts for holidays, anniversaries, weddings, and birthdays. Your cookies will make perfect gifts for Valentine's Day. Hand crafted in copper, the cutters range from 1 1/2" to 4 1/2" and have rolled edges to protect the baker's hands. Since the cutters to tarnish over time, clean them before using. Make your own polish by rubbing a cut lemon directly on the metal. Rinse cutter in hot water, then polish dry with a soft cloth. You can also use Red Bear powdered cleaner. Small cookies take less time to bake than large ones; bake different sizes separately to avoid burning. 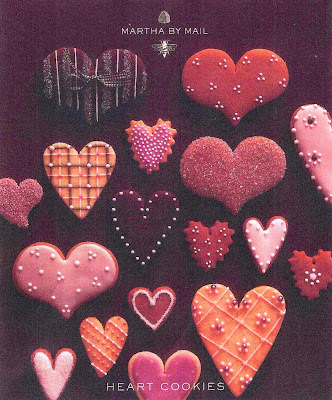 The cookies on this card were decorated by using a pastry bag fitted with a small round tip and by following the techniques described below as well as in the accompanying "Decorating Cookies" booklet. Heart cookies are a good place to experiment with contrasting colors: try light royal icing on chocolate or gingerbread cookies and dark icing on sugar cookies. 1. Flower Garland Dot the cookie with dark-colored icing, and allow to dry. Pipe a second color of icing in a wavy line around the edge, making the garland; allow to dry. Using thick royal icing, affix sugar or gum paste flowers around the garland (these flowers are available from bakery-supply stores). 2. Single Flower Decorate a small heart with a simple, tiny polka-dot border using pale pink royal icing; allow to dry. Using thick royal icing as glue, adhere a gum paste flower to the center of the heart. 3. Plaid Pipe four vertical pale-pink stripes spaced equally across the heart. Pipe a vertical tan stripe on both sides of each stripe. Repeat the pattern horizontally, making only three sets of stripes. Pipe a large, pale-pink dot of royal icing in the center of each square. 4. 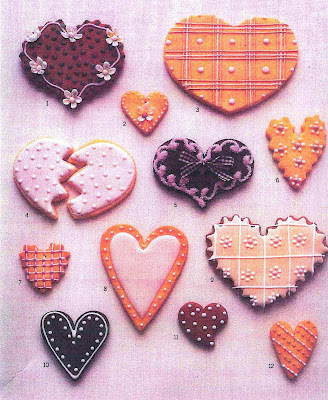 Dotted "Broken Heart" Outline each half with pale-pink royal icing. Flood or fill in the outline, using the same color; allow to dry. Dot cookie with white icing. 5. Bow and Scroll Garland As soon as the cookie comes out of the oven, use a cake tester or chopstick to poke two holes near the valley of the heart. Once cool, pipe a pale pink scroll border around the cookie. Flock immediately with sanding sugar; allow to dry completely. Tap lightly to remove excess sugar; if any excess remains, brush it off with a dry pastry brush. When the icing has completely dried, thread a ribbon through the two holes and tie a bow. 6. Dotted Flowers Dot the cookie with royal icing using a medium round decorating tip; allow to dry. Using a small, round decorating tip and another icing color, pipe five tiny dots as petals around each of the large dots. 7. Crosshatch This technique works especially well on a fluted heart because you can use the edge as a guide for the design. Using pale-pink royal icing, pipe five evenly spaced vertical lines across the heart. Next, pipe six horizontal lines across the heart, again using the fluted edge as your guide; allow to dry. At each intersection, pipe a small dot of thick, dark-pink royal icing. 8. Dotted Border Using thin royal icing, pipe a line around the heart set in 1/4" from the edge; immediately flood within the outline. Pipe tiny dots as a border; allow to dry. 9. Dot-Flower Grid Outline the cookie with pale-pink royal icing and flood immediately; allow to dry. Pipe five thin vertical lines and three thin horizontal lines with white royal icing. Pipe a medium size pink dot in the center of each square, then pipe five smaller white dots around each large dot, making flower shapes. 10. and 11. Lots of Dots Simple lines and dots are beautiful on a heart shape. For cookie 10, pipe a thin line around the heart and set in 1/8" from the edge, then make small dots inside the outline; allow to dry. For cookie 11, make random dots of royal icing, then flock immediately with sanding sugar; allow to dry. Tap to remove any excess sugar. 12. Dotted Lines Pipe diagonal stripes across the cookie, alternating between two colors. Let the lines dry, then pipe small dots evenly along each line. It isn’t often that I indulge in a cup of hot chocolate, but when I do, I want it to be rich, smooth and delicious down to the very last drop. With only a handful of ingredients in my recipe, everything must be of the highest quality in order to taste like the best hot chocolate ever. Fresh organic milk from a nearby farm, ultra-dark cocoa powder from France, bar chocolate from one of Belgium’s best chocolatiers and some vanilla sugar from my pantry is all I need to create this cold weather treat. Go to your pantry and gather the components to my ultimate hot chocolate, and treat yourself & a dear loved one to a mug of some. I love having it after I’ve come in from a brisk walk around town or from a trek around our trails, especially if there’s snow out. It’s such a decadent tasting thing to have and yet, it’s one of the easiest things in the world to make. Just a few minutes on the stove and voila. Froth up some for your beloved this Valentine’s Day or make a single serving and enjoy it alone. Either way, you’re going to love it! Servings: 2 mugs of hot chocolate. This recipe can be multiplied for many servings or can be cut in half for a single serving. Note: if using regular granulated sugar, add 1/4 teaspoon pure vanilla extract to the milk. Let’s talk about the individual ingredients for a second. I use chocolate is in two forms here: powdered and bar. I love the smoothness and thickening power that cocoa powder gives to a cup of hot chocolate (use it exclusively in this drink and technically you have ‘hot cocoa’) and, if you must know, I’m partial to Valrhona from France. It is used by the best pastry chefs throughout the world because it is unrivaled in terms of quality and flavor; look for it wherever you shop or get some online. You can certainly use other brands of Dutch cocoa powder and still get a great tasting cup of chocolate though. Using bar chocolate in the drink gives it depth, sweetness and richness that is otherwise absent in hot cocoa. Use whatever semisweet chocolate you happen to love, but I would highly recommend Callebaut, Scharffen Berger, Valrhona (of course) or El Rey. Remember: the better the chocolate the better the drink. Vanilla sugar that has been cured in the pantry is an asset for any pastry chef and home baker. Get into the habit of keeping some in a small jar to use for moments like these. It will elevate your recipe from delicious to spectacular with this substitution. If you don’t have vanilla sugar already made, simply add a small amount of pure vanilla extract (no imitation!). In the past I’ve used almond and soy milk in my recipe with great success, but if I want a good, regular milk then I have to have organic. My local Whole Foods Market supplies us with some wonderful organic milk from a nearby farm in Pennsylvania. It’s worth the extra bit of expense. In a heatproof bowl add the chopped semisweet chocolate, cocoa powder and granulated sugar. Keep it nearby. In a nonreactive saucepan, add the milk (and vanilla extract if using) and scald it. In other words, bring it to just under a boil over medium heat. Pour half of the milk into the bowl with the chocolate ingredients and begin whisking it to combine. Whisk it well so that everything is melted and smooth. Pour the chocolate mixture into the saucepan with the rest of the milk and return it to the stovetop. Over medium heat, whisk the hot chocolate until it is smooth, frothy and steaming. Don’t let it come to a boil. Pour it into your favorite mugs and enjoy with a macaron. Make my ultimate hot chocolate soon because it is truly delicious. You don’t have to wait for a snowy day or cold weather to have some, because it is great anytime you have a craving for chocolate. Believe me, hot chocolate like this is rich enough to feel like you’re having dessert. Whether you make one serving or a multitude of them for a large gathering, remember to always use the best ingredients you can find. It makes all the difference in the world. Be brave and use bittersweet chocolate instead if you prefer a darker, richer hot chocolate. It won’t be as sweet, however, so you may have to add a bit more sugar. Treat yourself & your loved ones today and bookmark the recipe. I have a feeling you’re going to come back to it. With winter in our midst throughout the country and many of us seeing freezing temperatures, I think it’s necessary to keep certain things in mind when caring for our pets. There are many factors which can pose problems and dangers to dogs and cats such as snow, below freezing temperatures, cold wind, ice, antifreeze, rock salt and even our own vehicles. These members of our family need special attention during the colder months in order for them to have optimal health, be comfortable and stay safe. Let’s make sure that they are kept out of harm’s way. If you happen to have cats that are occasional outdoor explorers, I highly suggest that you keep them indoors during the winter because they can certainly get into a lot of trouble if left to wander when it’s inhospitable outside. 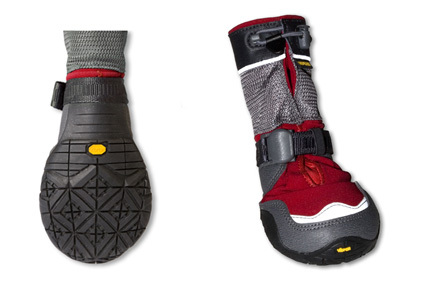 Dogs also need to be protected from extreme conditions during the season. Don’t think that just because they have fur that they are protected and can withstand the weather better than we can. The way I see it, if you feel cold while outdoors then your pets will also feel cold. Our cats, Lion and Mistress, are not outside cats ever, but I still make sure that indoor conditions for them are comfortable and pleasant at all times. Here’s what you should consider if you have a household with pets. These are tips for dogs as well as cats. 1. If you are having your dog groomed during the winter, it’s best to keep their fur intact throughout the season for that added protection and not have it cut down to the skin. Even if your pets are kept indoors at all times, it’s necessary for them to have their fur in order to keep warm. 2. Walking your dog or letting them out to do their business is certainly fine if you keep them supervised and not leave them out for any extended period of time. Remember, below freezing temperatures and wind chill factors can quickly turn into a frostbite or hypothermia situation with dogs; frostbite isn’t always detected right away (it may take days for it to show). Dogs should always be leashed when going out in the winter because they can quickly lose their scent and get lost if they wander off on their own. 3. Paws should to be protected from snow, ice and rock salt. Keep a bowl of water by your doorway and a clean towel to wipe down paws (and fur, especially in the belly area) as soon as you come in from the outdoors. 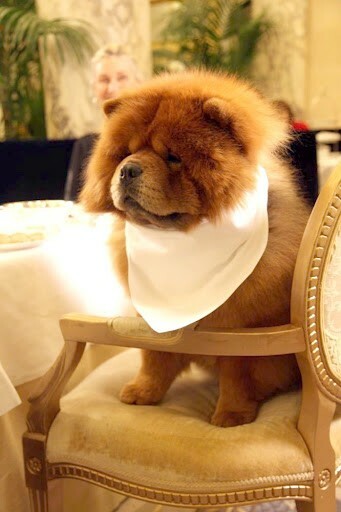 Simply dip their paws one at a time into room temperature water and wipe them dry with a clean towel. If a dog licks that salt before you’ve had a chance to wipe it, it can cause stomach swelling and other problems. 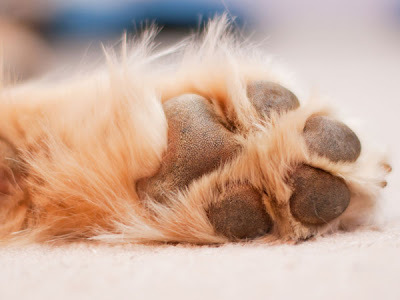 Snow or ice that isn’t removed can cause the paw to split, crack and even bleed. Stepping on other chemicals, solutions (think antifreeze) without your knowledge can also be dangerous for dogs. This is why it’s essential to remove any residue and snow or ice from their paws. If your dog can stand it, try using special dog booties when going outdoors so that their feet are protected and insulated. 4. Antifreeze (with ethylene glycol) is toxic and can poison dogs very quickly. So don’t let them wander around parked cars or in the garage or driveway. If you suspect that your dog has accidentally ingested antifreeze, seek immediate medical attention. 5. Garages are not suitable areas for dogs to be kept in during the winter. A dog should be allowed to be indoors even if you must cordon off certain rooms. 6. Puppies feel the cold much worse than a full grown dog, so keep in mind that they will need extra protection from the cold. If you’re housebreaking a puppy, have them do their business on newspaper rather than keeping them outdoors until they do. Once the weather lets up, you may resume the training. 7. Older dogs, dogs with heart problems, diabetes, kidney disease and other imbalances can make it difficult for them to regulate body heat, so keep this in mind if your dog has special needs. 8. While indoors, dog beds should be kept in a warm area of the house that is free of drafts. Keep your doggie comfortable! 1. Kitty cats should be kept indoors during the winter because they can quickly begin to suffer the effects of cold temperatures. 2. It’s often the case that cats who are left to wander outdoors during the winter will quickly seek a warm spot. Unfortunately that place will more than likely be the turned off engine of a parked car. This is very dangerous for them as they can be injured or killed by a moving fan belt. If you suspect your cat or a neighborhood cat is outdoors, make sure you pound on the hood of your vehicle before you start it to alert them. Avoid any mishaps! 3. Cat beds should also be kept near a warm spot that is free of drafts. Be aware of space heaters, radiators or other heat sources (yes fireplaces too!) which can be dangerous for cats as well as dogs. Make sure you keep an eye on your pets so that they don't catch fire, get burned or injured. If you must travel with your dog or cat to the vet, or some other destination, make sure the car is heated and under no circumstances should you leave your pet unattended in a turned off car. A parked car can quickly turn into a refrigerator and be lethal to your dog or cat. 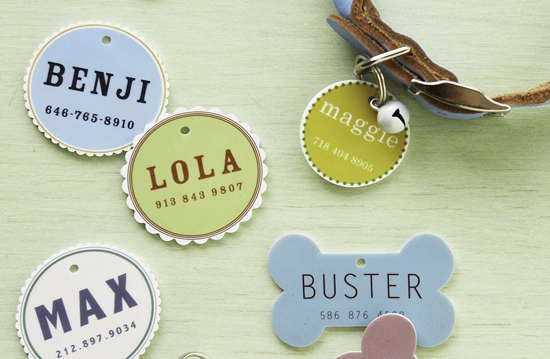 Pets who do go outdoors for any length of time should have collars with appropriate tags at all times. If you live near a lake, pond, stream or river, do not allow your dog to wander onto ice, because it may not be secure. Again, keep your dog on a leash at all times when you do take him or her out and as soon as you begin to feel cold and uncomfortable, take your pooch inside. Keep your pets safe this winter! Cinnamon tea is a delicious drink to sip when the weather turns cold and when one wants something soothing. As you simmer the infusion on your stovetop and steep the liquid, the most inviting scent will waft throughout your house making you crave some the moment it’s done. Perfect for the afternoon when you want to warm up and perhaps nibble on a cookie, my cinnamon tea is wonderfully suitable for the evening as there is no caffeine in it. Treat yourself to a cup of this invigorating infusion the next time you want to sit down to a chat with a dear friend or when you want to curl up with a good book at night. Mom likes to make this for me when I visit her in the winter, usually at night when we sit and reminisce or discuss friends & family. I will never tire of drinking this ‘tea’ because it is at once comforting and so heavenly. If you let the infusion cool down and and steep overnight, the most luxurious-tasting cinnamon coffee can be made in no time. You’ve been warned though, it’s absolutely aromatic and downright addictive. It’s the type of coffee you’ll want to serve at a weekend brunch for friends and family out of generously-sized cafe au lait bowls, so make sure you brew plenty of this rich liquid. Serve and drink a cuppa of cinnamon tea or cinnamon coffee and enjoy every last sip! Yield: approximately 1 liter of tea. In a saucepan, place the cinnamon sticks and cold water and bring up to a boil on high heat. As soon as the water reaches the boiling point, cover the pan with a lid and reduce the heat to low; simmer the ‘tea’ for 15 minutes. Let the infusion steep for 10 minutes. Remove cinnamon sticks and serve hot. I love serving it in these Turkish porcelain cups with a small amount of sugar. Yield: approximately 1 liter of coffee. Remove the cinnamon sticks and fill your coffeemaker to the desired level. Brew your favorite coffee according to your tastes and enjoy. Doesn’t this look positively delicious? I’m telling you, if there is inclement weather on the horizon I suggest making a small pot of this to sip at your leisure. If you’re like me and prefer your coffee unadulterated by syrups and artificial flavorings, but still crave the taste of spice, I highly recommend keeping a pitcher of my infusion in the refrigerator. Whether you use cafe au lait bowls or your favorite mugs to drink this piping hot beverage, a cinnamon stick can certainly accompany each serving. Froth up your milk if you wish and luxuriate. Cinnamon Tea or Cinnamon Coffee, depending on my mood, is a favorite good thing of mine. Enjoy! Silver salt and pepper shakers and/or grinders are beautiful pieces to own and use in one’s home. They enhance, beautify and provide wonderful table settings which can be either formal or informal. Depending on the style and type of shakers or grinders one wants to use, a table that offers at least one of each will undoubtedly make the dining experience a more pleasant one. I find them to be one of those little good things that my table much nicer. Although I don’t have an extensive collection of silver salt and pepper shakers, (since I enjoy using my salt cellars a lot) I do have some nice pieces that I take good care of. It’s always recommended that you never store salt or pepper in a silver container. Salt is corrosive and will pit the silver rather quickly; pepper won’t have this effect, but I find it best to treat both vessels in the same manner. If you’re going to use them for a dinner or luncheon, it’s always best to fill the pieces on the day of the occasion. After the meal is over and you begin to clean up, the shakers must be emptied and cleaned out. I know it may seem rather fussy and involved, but I prefer to prevent pitting and corrosion on my pieces of silver. There is no need to wash the vessels, but you should wipe them down thoroughly to remove any traces of salt & pepper. This is what I do in my home. This small sampling of silver vessels is a mix of contemporary, vintage and antique silver. The small screw top set of 6 shakers is sterling and the lovely quails are silverplate. They come from King Richard's Antiques. The salt shaker & pepper mill are from Martha by Mail. Most newer pieces will be lined with plastic to prevent contact between the salt and silver. Even if this is the case, I still recommend that you empty the shakers after your dinner or lunch is over. You can see a closeup of the quails with their caps off. The lining has kept up well and I don't want to damage it by getting it wet. Remove all of the salt and ground pepper and return it to a more suitable container. The diminutive sterling silver shakers are not lined so therefore it is imperative that they be wiped thoroughly. These need a little bit of polishing so I will use my method which requires no creams. After I've emptied out the salt and pepper back into my storage containers, I begin to wipe out each vessel with a cotton swab. I reach into all of the corners starting at the bottom and work my way up. The perforated caps get treated the same. Wipe both the tops and the bottoms making sure that there is no trace of salt or pepper left. If your environment is humid and there is salt left on the shakers, that salt will dissolve and cause the silver to react. Over time it will begin to pit. The other pieces which are lined with plastic get treated in the same manner. I don't like to leave anything to chance when it comes to this. If you come across a silver salt shaker or pepper grinder and wish to purchase one at an antiques fair or flea market, make sure that the piece itself isn’t highly corroded. Ask the dealer if you can open the cap to inspect the inside of the vessel. If they seem well taken care of and only have minimal pitting or corrosion then you may want to get them. If the pieces are highly pitted and seem unusable, you can still have them restored by a silversmith, but keep in mind that it may cost you more than what you’re paying for. Silverplate will always be cheaper than sterling silver, but it isn’t any less beautiful. As to the styles and forms to choose from, antique stores and online auction sites abound in them and it’s up to you to decide what is best for your home. Silver salt and pepper shakers & grinders are nice to have on one’s table every once in awhile. It isn’t necessary to have vintage or antique ones because I’ve seen many well appointed housewares stores who offer them; don’t overlook these pieces. If you already own a pair or two, now you know how to take care of these gorgeous vessels. May you have years of wonderful meals with them!